Started by a longtime folk singer-songwriter from the Keystone Ice state, Twang! 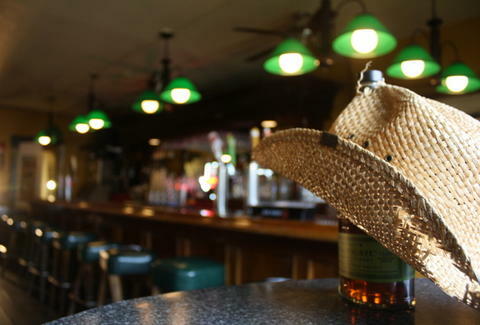 is SF's first and only honky tonk -- an authentic Thursday-night-only affair held upstairs at old-school Irish pub Fiddler's Green that'll feature crazy cheap booze, plenty of Texas two-stepping, and most importantly, a haven for closet country music fans where "falling asleep in a booth is a badge of honor". The bar specials'll include wallet-friendly, tonk-appropriate drinkables like $2 Lone Star longnecks and Shiner Bock pints, $3 George Dickel Tennessee whisky and Camarena blanco & reposado tequilas, plus $5 bourbon & rye from Bulleit, finally making it easy to rationalize getting (a) shot. Music'll alternate on a weekly basis, with country tunes from the Sundance Saloon's DJ one week (ranging from George Strait and Willie Nelson to Tim McGraw and Lynyrd Skynyrd), then live country Western bluegrass bands the next, though that might be Too Close for some people. They'll also loop Westerns on the TVs, host a 30-person bottle-serviced VIP section called "The Loft", and hang art-vertisements (honky-ish mashups promoting Twang!) including one with a steer defiantly sticking its tongue out, so you pretty much know you'll Lovett.